The pumped storage scheme is located in a rural setting with no major sources of noise or air pollution or emissions to air. The noise assessment will be informed by baseline noise monitoring and modelling. 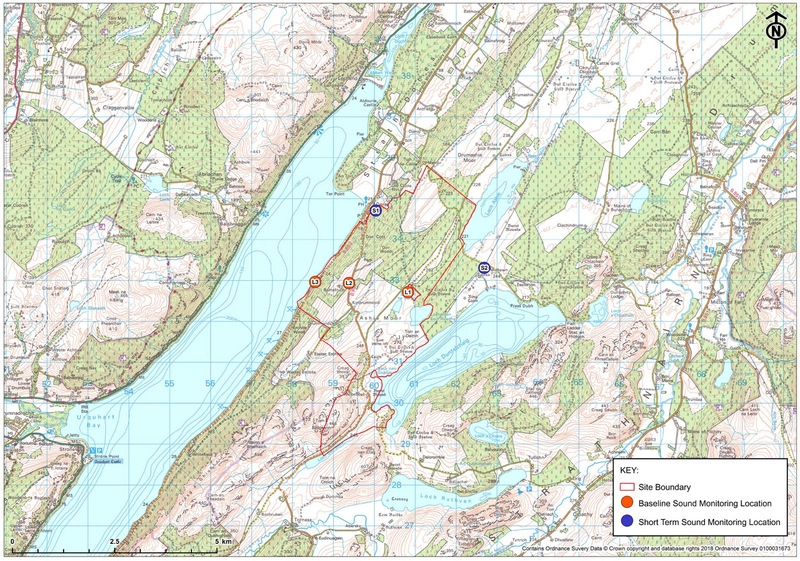 The monitoring locations have been agreed in consultation with the Highland Council’s Environmental Health Officer. The baseline noise survey has been completed and combined long term sound monitoring (for one week) and short term sound monitoring points (taken on one day). Noise monitoring will determine the existing noise levels and allows future noise limits to be set for the construction and operational phases. The assessment will also consider vibration from construction activities and also construction traffic on public roads. Once the scheme is operational, noise impacts from the pumped storage scheme are expected to be negligible due to the depth of the turbines. Both the surface and underground movements from vehicles during operational will also be investigated. Any noise impacts will be minimised through careful engineering design, construction planning and consultation with the Highland Council’s Environmental Health Officer in addition to the local community. In addition a Noise Management Plan will be prepared and agreed with stakeholders as part of the EIA. The likely air quality impacts will be from dust generated during construction and emissions from temporary generators for construction power. A Dust Management Plan will be prepared as part of the EIA Report. Once operational, the pumped storage scheme is not anticipated to release any air emissions.